William “Bill” Shankly, OBE (2 September 1913 – 29 September 1981) was one of Britain’s most successful and respected football managers. Shankly was also a fine player, whose career was interrupted by the Second World War. He played nearly 300 times in The Football League for Preston North End and represented Scotland seven times, as well as playing for Partick Thistle and Carlisle United. Bill Shankly was born on 2 September 1913, Glenbuck, Scotland. 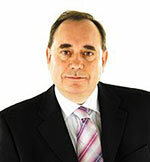 He is most remembered, however, for his achievements as a manager, particularly with Liverpool. 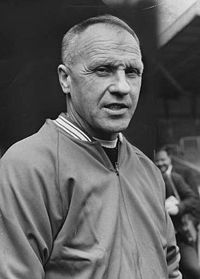 Shankly took charge of Liverpool when they were bottom of the Second Division but soon established them as one of the major forces in the English game. During his 15 years at the club, they won three league championships, two FA Cups and the UEFA Cup, before his surprise retirement after winning the 1974 FA Cup Final. It was Shankly’s own commitment and enthusiasm that had initially intrigued Liverpool chairman T.V. Williams when Shankly had been interviewed for the vacant Liverpool job in 1951, and in December 1959, following an embarrassing defeat to non-league Worcester City in the FA Cup, Shankly was appointed the manager of Liverpool. Liverpool had suffered a period of decline in the 50s, after having won five league titles in the first half of the century, and were at this time languishing in the Second Division, with a crumbling stadium, poor training facilities, and a large pool of untalented players. Shankly released 24 of these players and converted a storage room into a room for tactical discussion, where Shankly, along with other Boot Room founding members Joe Fagan, Reuben Bennett and Bob Paisley began to reshape the team. The training ground at Melwood was in a poor state of affairs, overgrown and with only one mains water tap. Shankly turned this into a strength, by arranging for the players to arrive instead at Anfield, and then bus them over to Melwood, creating team camaraderie. At Melwood, Shankly introduced fitness training, including diet assessment, and skills training including using an artificial goal painted on a convenient wall, split into eight sections which he would demand the players hit each time. For playing practice, Shankly introduced five-a-side games, and after training, the team would all bus back to Anfield together to shower, change and eat a communal meal. This way Shankly ensured all his players had warmed down correctly and he would keep his players free from injury. Slowly at first, and then with a gathering pace, Shankly and his backroom team turned Liverpool around, and with new signings Ron Yeats, Ian St. John and Gordon Milne, promotion was gained back to the First Division in 1961-1962. Liverpool finished 8th in their first season back in the top flight. The addition of Peter Thompson in 1963 further strengthened the team, and in 1963-1964 Liverpool clinched their 6th league title, ahead of Manchester United. In 1964-65, Liverpool won the FA Cup for the first time in the club’s history with a 2-1 victory over Leeds United at Wembley. The team finished 7th in the League, and reached the European Cup semi-finals, before eventually succumbing 4-3 on aggregate to Inter Milan managed by Helenio Herrera, after taking a 3-1 first leg lead to the San Siro. In 1965-66, Liverpool won the league title, reached the final of the European Cup Winner’s Cup, losing 2-1 in extra time to Borussia Dortmund, and beat Everton to win the subsequent following season’s Charity Shield. However, Liverpool’s performance in the 1966-67 European Cup was poor, and after struggling to overcome FC Petrolul Ploie?ti in the first round, were dumped out of the last-16 by Ajax inspired by then 19-year old Johan Cruyff (7-3 on aggregate; including a 5-1 hammering in Amsterdam). It was this game that convinced Shankly that a more patient, possessive way of playing would be required if Liverpool were to achieve consistent success in Europe. Liverpool gradually improved their League performances again over the course of the next few years, finishing 5th, then 3rd, then 2nd, as Leeds United and Manchester United prevailed. The early 1970s team saw a transitional period which preceded the birth of Shankly’s second great Liverpool side. Players such as Roger Hunt, Ian St.John, Ron Yeats and goalkeeper Tommy Lawrence were sold or released, and fresh players like Kevin Keegan, Emlyn Hughes, Steve Heighway, John Toshack and Ray Clemence were brought in. Liverpool finished 5th in 1969-70 as Everton regained the title, and 5th again in 1970-71, losing out in the F.A. Cup Final to double-winning Arsenal. They just missed out on another title in 1971-72, finishing third in a close group of four teams challenging for the title, and only a single point behind Brian Clough’s Derby County. 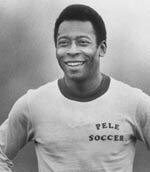 In 1972-73 the club cruised to the league title, despite strong competition from Arsenal and Leeds. Liverpool also won their first European trophy the UEFA Cup, overcoming Borussia Moenchengladbach 3-2 in a two-legged final. Liverpool lost out to Leeds in the following season’s League race, but won the F.A. Cup once more, as Liverpool overcame Newcastle United in a comprehensive 3-0 victory at Wembley, in what proved to be Shankly’s last competitive game in charge. Due to his working-class background, Shankly had a strong feeling for how the fans followed the team and wanted them to perform. He felt he was letting the fans down when the team didn’t do well. When he wasn’t managing the football club, Shankly was often working at his typewriter, personally replying to letters from fans that arrived at Melwood. Shankly even called some supporters at home to discuss the previous day’s game, while the accounts of him providing tickets for fans are endless. 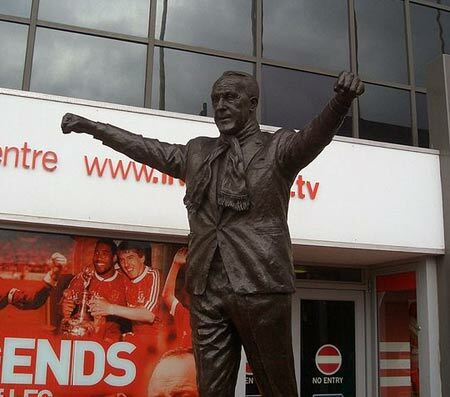 In September 1981, Bill Shankly died following a heart attack.